Four years! Has it really been four years since we packed our household into 12 suitcases and moved to Durham, U.K. to begin Rob’s work as a PhD student? Read more of that here. In some ways it seems a lifetime ago, but in other ways it seems that we have just returned after a brief holiday away. Our return trip is to celebrate the completion of Rob’s degree at Durham University’s Congregation service. We are, as they say here in the Northeast of England, “over the moon” about the upcoming graduation on Friday. 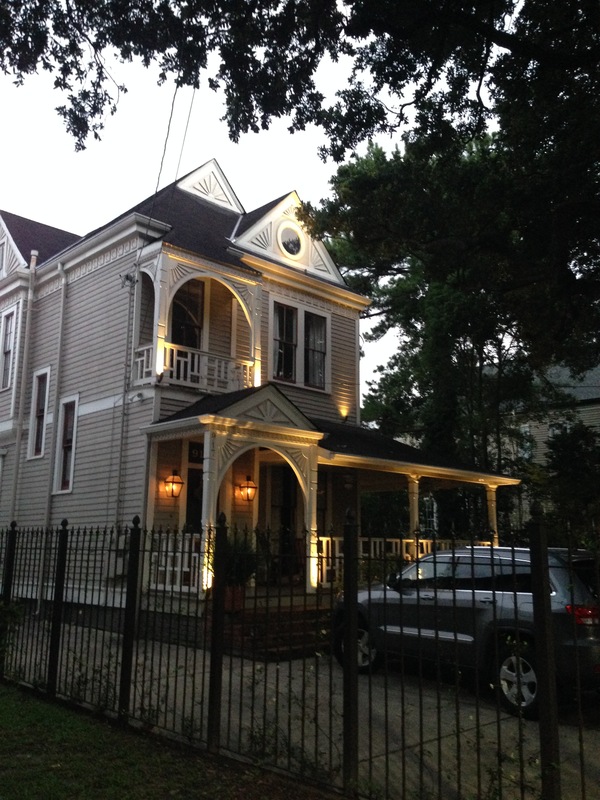 Beautiful French Creole homes cover the city. We began our journey by driving to New Orleans, Louisiana to fly out of the airport there as it is a larger international hub and we could stretch our flyer miles further flying out of New Orleans. We spent the evening supping at the local Camellia Grill. It was, quite possibly, the best hamburger I have ever put in my mouth. If you are ever in NOLA you must check out the Camellia Grill. You’ll find it in the Garden District. We took a long walk after supper and searched out the best New Orleans snowballs we could find. Williams Plum Street Snowballs was the perfect end to our walk. I recommend the Praline (Praw leen) Cream snowball myself. We flew out to JFK airport the next morning. We were faced with an 11 hour layover at JFK and decided to get an Uber into NYC and see as much as we could of the Big Apple in five hours. What to see in NYC in just a brief five hours? We made a priority list and vowed to hit as many points as possible before returning to the airport. Beth is the only one who had ever been to New York and that was many years ago while on tour with a high school choral group. ← Pentecost~What Does This Mean?